Each term our Principal and one of our New Entrant teachers visit our local Early Childhood centres to chat with teachers, children and families. Each term we have a coffee and information morning at school for prospective parents. You will hear about how our school works and what you need to know before your child starts school. There is a tour of the school and a chance to ask questions. Visiting your new classroom! 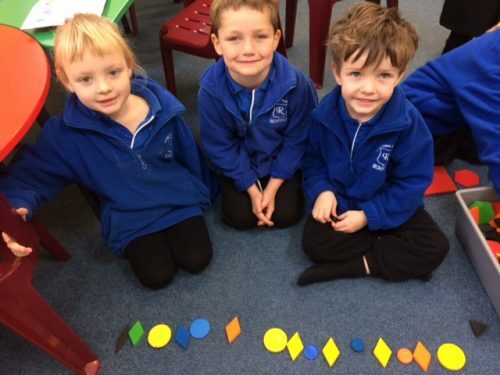 We start our new children with 2 short afternoon classroom visits in. This is an opportunity for parents to attend with the children to become familiar with our school and their classmates. On the second visit parents meet with our Junior Team Leader and key members of our school community to find out more about the school. We then offer weekly classroom visits on Thursday mornings from 9:00- 1:00 until your child’s birthday (usually between 3 and 6 visits). On these days children will take part in classroom learning tailored for New Entrant learners, and for your child’s strengths and interests. We have a marvellous open learning space with doors that open out onto a deck and two spaces for small group learning. We have 2 full time teachers working with 5 and 6 year old children. Our New Entrants complete guided literacy and mathematics lessons with their teacher and mix with the rest of the class for Inquiry, P.E. and Arts. 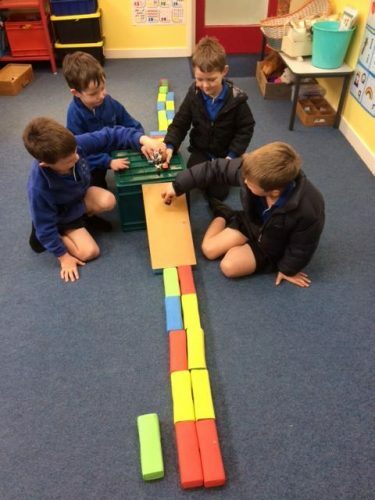 In this way children develop connections and friendships with many children. ‘Adventure time’ is a daily opportunity to play with, and explore, a range of activities. 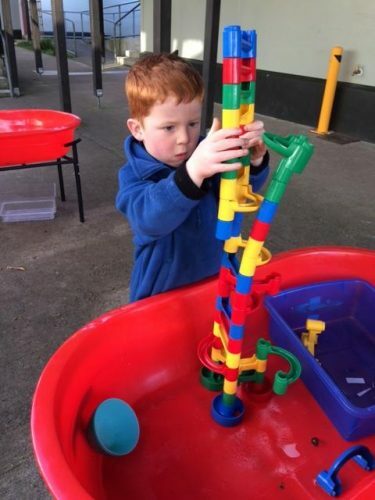 Favourites such as play dough, water tray, blocks, cars, puppets, construction and craft are provided for learning through play. This less structured time helps children transition to school more easily. 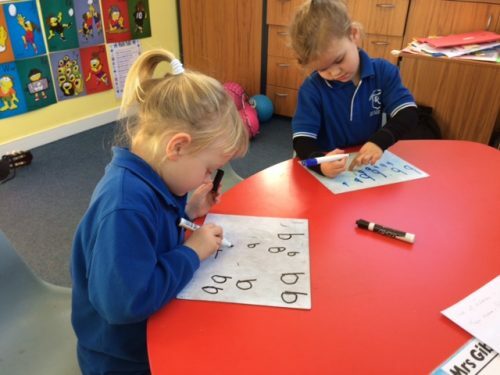 Music, talk, waiata, karakia, movement and poetry are actively promoted as part of our daily learning, we recognise that communication is an essential skill for all students to master and support our children to become confident communicators. 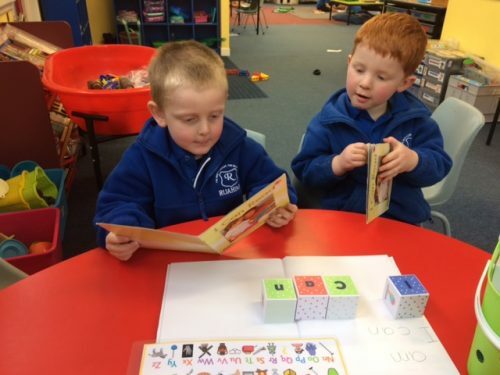 The New Entrant teacher visits Early Childhood centres each term to meet with children and their Early Childhood teachers in a familiar setting. 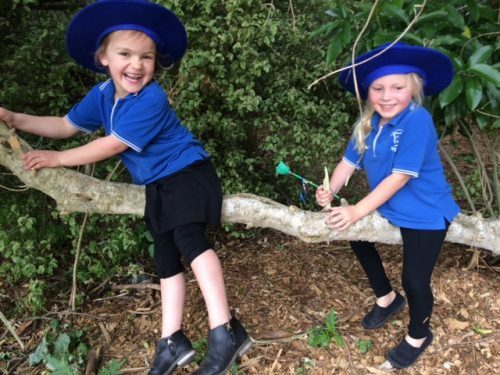 The Early Childhood centre provides information regarding each student, their strengths, interests and ways in which Ruahine School can support the transition to school. This is the same document shared with parents as children complete their Early Childhood education. Parents are invited to attend a coffee and information morning at school each term, accompany their child on transition visits. At the second visit the Junior Team leader will talk to you further to gather your valuable knowledge about your child to support their transition to school. Each Friday morning (weather permitting) we join with the Pounamu (Junior) Team and visit the QEII. This is a block of bush adjoining the school, which Ruahine learners care for. This is a wonderful opportunity to learn and play beyond the classroom; we build huts, become adventurers, take care of the QEII, learn about and explore the bush and the creatures that live there. New Entrant children are buddied up with a senior class. 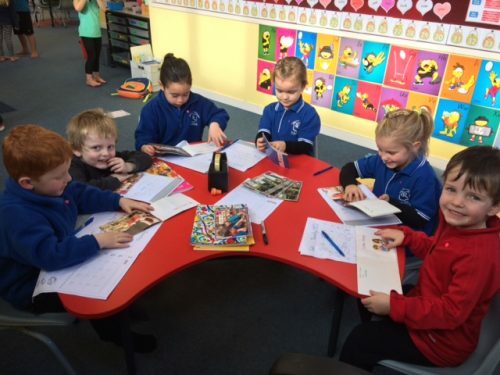 The Year 1 and 2 children get to know year 6 and 7 children, in turn these older students keep an eye out for them in the playground and actively support them through activities such as shared reading and te reo Māori. This fosters genuine friendship and caring across the school. Parents and teacher meet after 6 weeks to talk about how children are settling into school and to consider any questions and concerns. Of course you are always welcome to have a chat with the teacher before and after school! At 6 years old the teacher meets with parents to discuss progress in the key areas of literacy and numeracy and to talk about ways that parents can support this learning at home. Twice yearly reports are sent home. There is a parent/child/teacher interview mid year and a report goes home at the end of the year. All children living within our school transport zone travel on the bus for free. Children living outside the school transport zone are required to buy bus tickets. These are available from the school office at a cost of $16 per 10 rides. This applies to all children travelling from Dannevirke. For more information regarding bus services please contact Ali in the school office (06 374 9200). 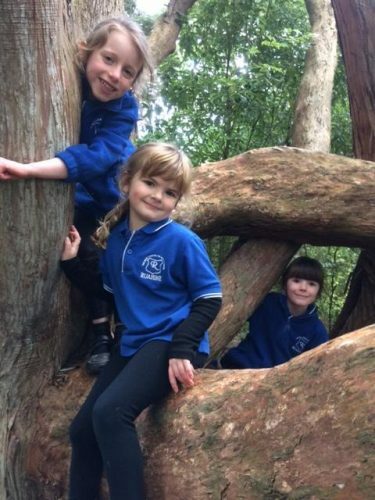 Ruahine School has an enrolment scheme in place to prevent overcrowding. Through this scheme we are able to keep our class sizes small and allow for more personalised teaching and learning. You do not have to be in our school zone to enrol your children at Ruahine School. You can contact us at any time to put your name on our pre-enrolment list. We will contact you when we are next advertising. All zoned schools must advertise in September each year for the following year’s enrolments. This is to help parents and schools plan for their New Entrant children. In zone families can enrol children anytime and out of zone families must enrol children in response to an advertisement. For more information about our enrolment scheme please call or email us at school (principal@ruahine.school.nz).